06:00 - 22:00 daily. IMPORTANT NOTE: For Cardholders who pay for individual visits or guest visits, please check this particular offer against your visit fee to ensure it represents value for you. We advise Cardholders to review full Conditions of access below before visiting. For decades, Landry’s has been a tale of legendary Gulf Coast cuisine and true hospitality. Landry’s has maintained an unmatched commitment to sensational steaks, seafood, and pasta specialties. 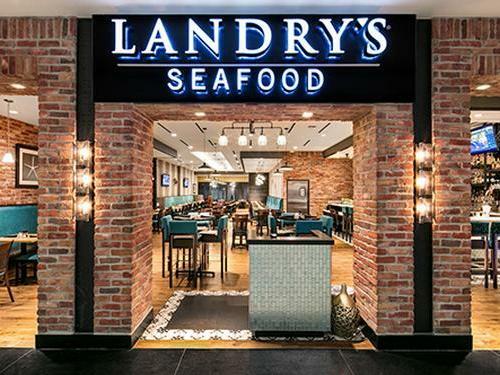 Airside - after Security Checkpoint, turn left and Landry’s is located near Gate C42. Please note that the restaurant may exceed their seating limit at certain times of the day & access to the restaurant is at their sole discretion.